This little Icon pictured here, is not just an Icon – it’s an active Icon. Let me explain – when the free portable application EraserDrop is active, this Icon is what you see. The Icon floats on the Desk Top or, on top of any opened applications. Simply by dragging and dropping selected files, or folders, onto this Icon, permanently, and securely, erases the files/folders from your system. You may change the position of the Icon by holding down the “Left Shift” key and moving it to a desired position. As well, you may “Hide” the Icon by choosing “Hide” from the context menu. gone – deleted – securely – never to be seen again. 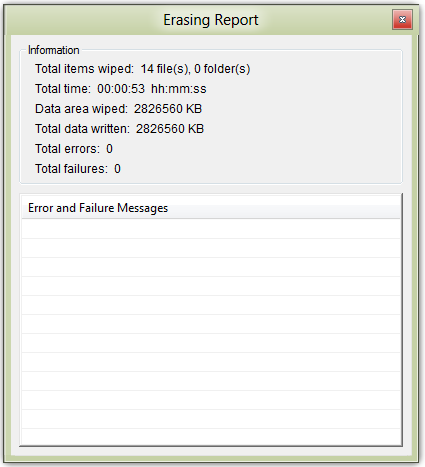 Following an erasure, an “Erasing Report” is provided, as shown below. 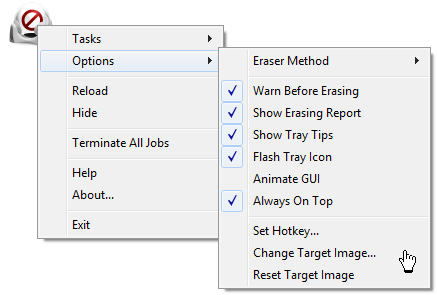 The erasing method can be set by opening the right click context menu and, selecting from a variety of increasingly more complex erasure settings. 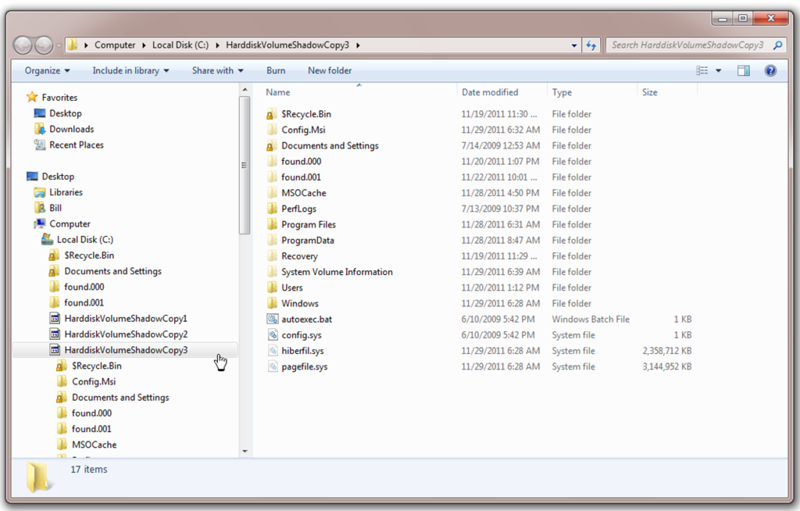 You can choose to wipe both the Recycle Bin, and wipe the HD’s free space, from within the context menu. The options menu will allow you – amongst other selections – to choose a “target image” for the Icon that is more to your liking. 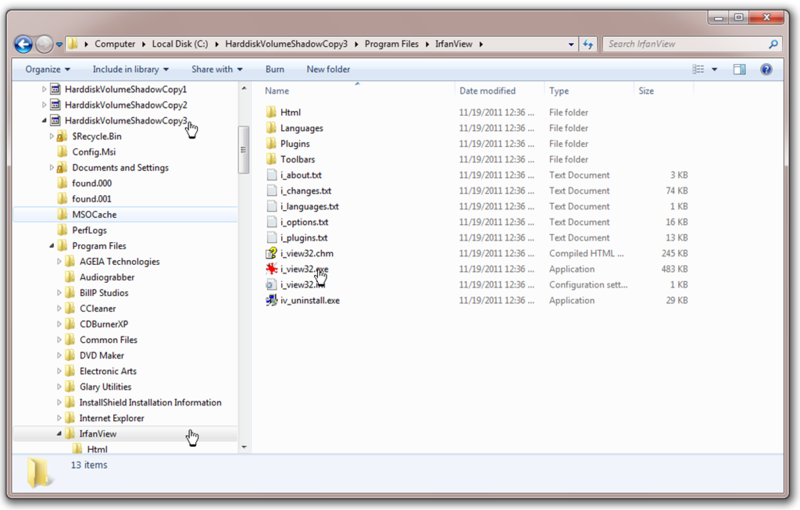 Since this is a portable application – it will not show up in installed applications – so, it’s best to install to a new folder that’s easily accessible. System Requirements: Windows 2000, XP, Vista and Win 7. Why should you bother to erase files/folders permanently? If you’re a typical computer user, you quite likely believe that the files you’ve deleted and sent to the recycle bin, are gone forever. Not quite true however. When a file is deleted from your Hard Drive, what really gets deleted is the system link pointing towards the file, but not the file itself. Surprisingly, it is relatively easy to retrieve the deleted file using specialized file recovery software (often available as a free download), which takes advantage of shortcomings in the Windows operating systems. In order to delete or shred files permanently – to protect your privacy and potentially your security – or, for any other reason for that matter, you need a program that is capable of overwriting the file with a random series of binary data multiple times. That way, the actual content of the file has been overwritten and the possibilities of recovering such a shredded file, becomes mainly theoretical. 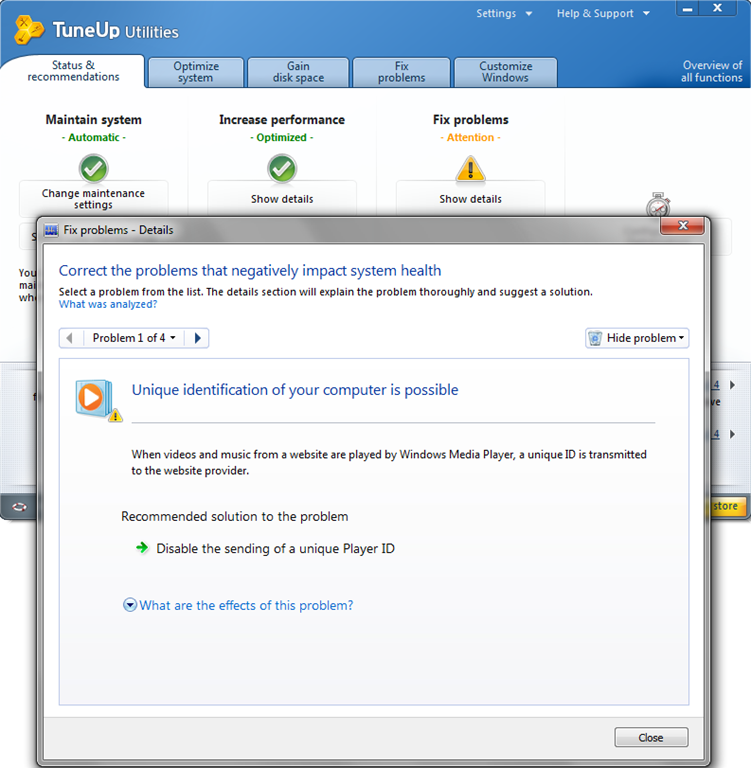 Have you ever wanted to access a file, or an application, within a System Restore Point? 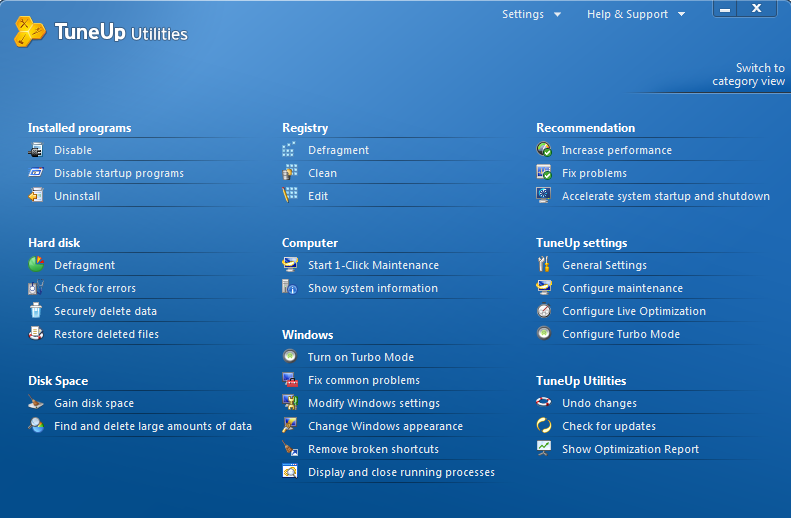 You can do just that with a neat little freebie – System Restore Explorer. 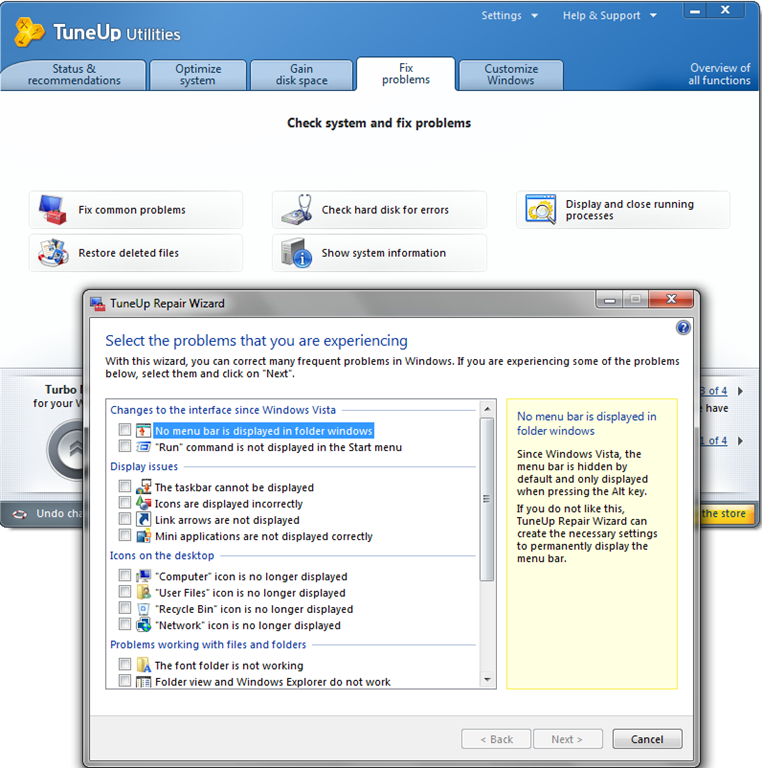 Running System Restore Explorer will allow you to “Mount” a System Restore Point and you’ll then have the “go ahead” to browse and copy files or, launch an application from within the selected System Restore Point. 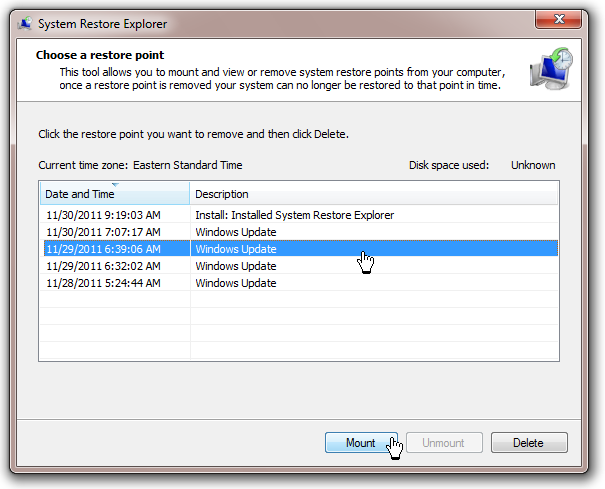 As well, System Restore Explorer provides an option to delete selected restore points. 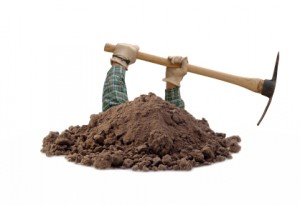 I have chosen to mount a restore point created on November 29, as illustrated below. Note that System Restore Explorer displays the date and time of the restore point creation, as well as a brief description. 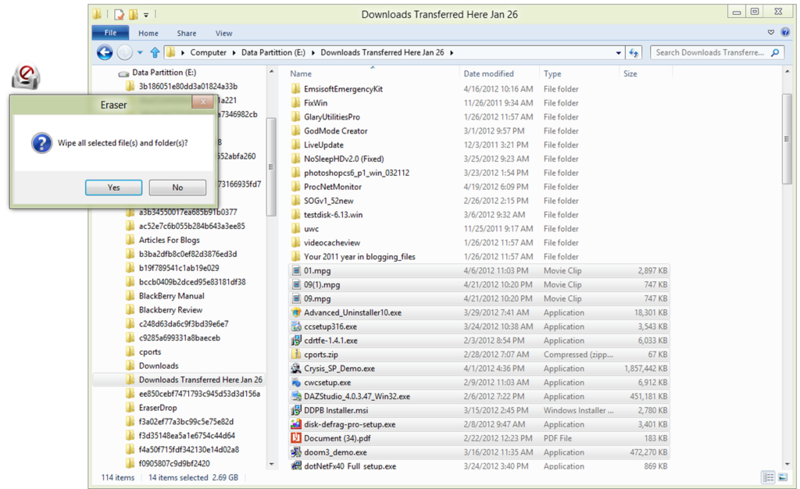 Mounting a restore point automatically runs Windows Explorer, and as the following screen capture illustrates (click the graphic to expand), I now have access to (in this case), HarddiskVolumeShadowCopy3. Expanding HarddiskVolumeShadowCopy3 provides access to the applications in the restore point, and for this test, I have chosen to execute the graphic application, IrfanView. Clicking on the IrfanView executable (i_view32.exe), promptly launched the application, as illustrated below. 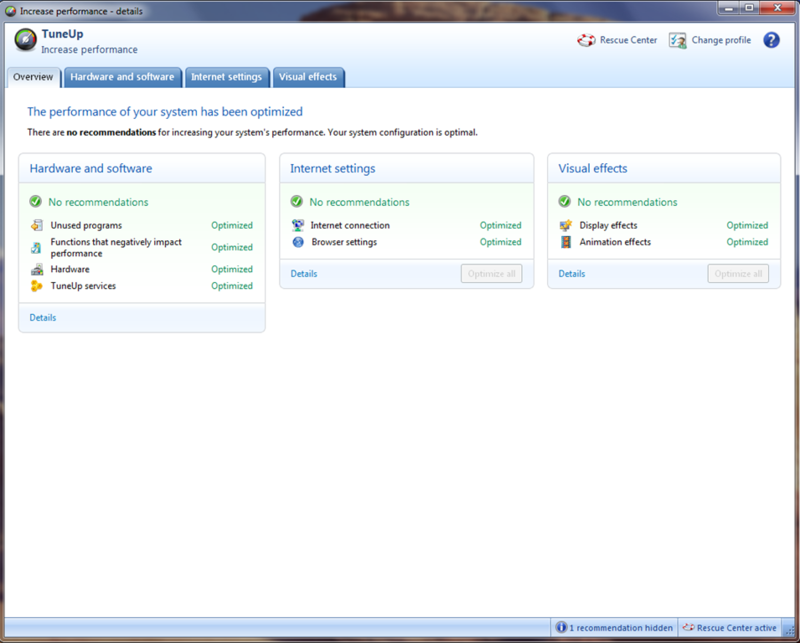 System requirements: Windows Vista, Win 7 – 32-bit and 64-bit. 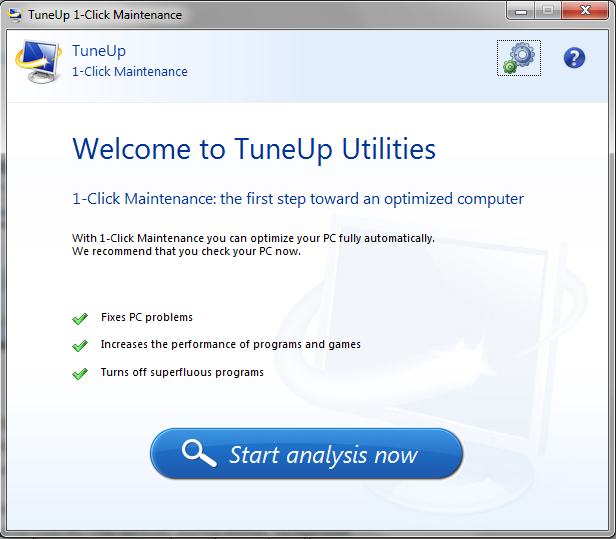 You may not often need to dig inside a System Restore Point, but if you do, having this freebie in your toolkit will make the job that much easier. This article is a companion piece to – Staples Resells Storage Devices Without Wiping Customers’ Personal Information – published earlier today. 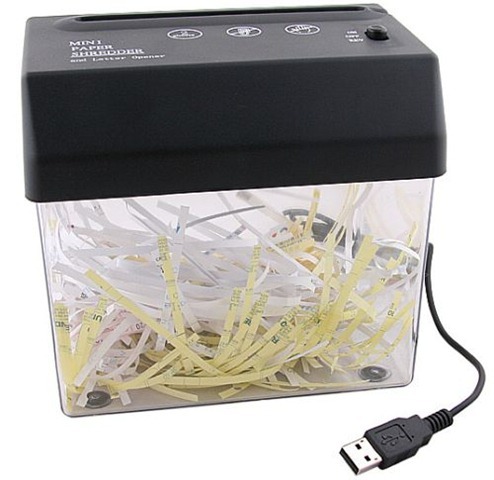 Many of us now own, and use a paper file shredder to destroy documents, and personal and financial papers that we don’t want to fall into the hands of identity thieves, or anyone else not entitled to have access. So now, consider those files on your computer that you’ve deleted, sent to the recycle bin, and then flushed as you emptied the recycle bin. When you go through this process the deleted files are gone forever, right? Well if you’re a typical computer user, you quite likely do believe that they’re gone forever, since the deleted files can’t be seen in Windows Explorer. In fact, you can’t find these files anywhere on your Hard Drive. It may surprise you to learn that not only can I find those files but I can recover them as well. Oh, it’s not because I’m a super- duper tech wizard – although I will say, with some modesty, that I am. LOL. Here’s the lowdown: when a file is deleted from your Hard Drive, what really gets deleted is the system link pointing towards the file, but not the file itself. Surprisingly, it is relatively easy to retrieve the deleted file using specialized file recovery software (often available as a free download), which takes advantage of shortcomings in the Windows operating systems. Let me give you an example. Recently, I agreed to rebuild 30+ computers (at no cost – my way of giving back), being donated to a local charity for distribution to less fortunate families. While working on these machines I noticed immediately that although the Hard Drives had undergone file deletion, they had not been wiped. Since these machine had been donated by a government agency; that struck me as being negligent in the extreme. In order to bring this situation to the attention of those who had committed this serious breach in security, I recovered a number of these files. Not unexpectedly, the recovered files did in fact did contain confidential information. In this case – confidential information on families on public assistance. As part of the process, I saved the recovered files to disk and presented the disk to the appropriate authorities. Shock, surprise, embarrassment, were just some of the reactions. 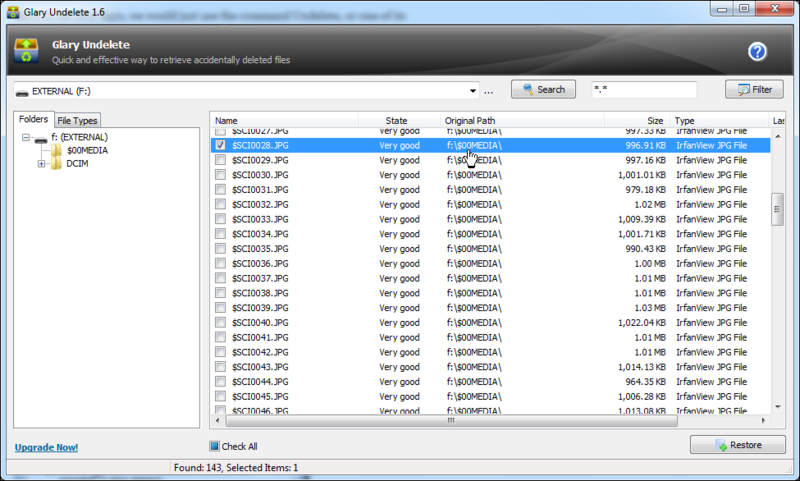 It’s easy to see from this example, that deleted files (or a good portion of a file) can easily be recovered. In order to delete or shred files permanently, to protect your privacy and potentially your security, or for any other reason for that matter, you need a program such as File Shredder 2 that is capable of overwriting the file with a random series of binary data multiple times. This process is often called shredding. That way, the actual content of the file has been overwritten and the possibilities of recovering such a shredded file becomes mainly theoretical. 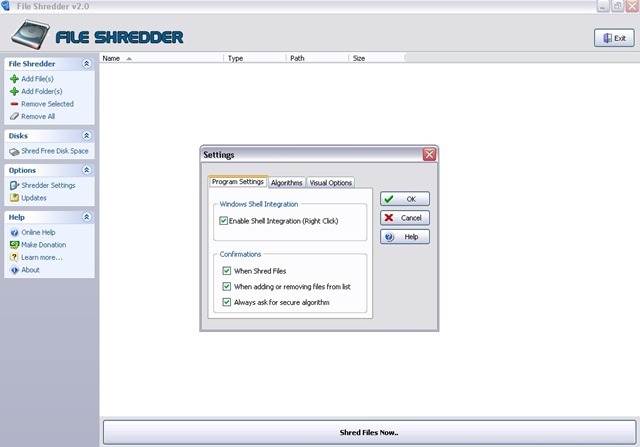 File Shredder 2, is a simple but powerful program, with a straightforward interface, that many users judge to be better than some commercial file shredders. With File Shredder 2 you can remove files from your hard drive permanently, and feel confident that the file can’t be recovered. Running the program allows you to choose between 5 different shredding algorithms, each one gradually stronger than the previous one. As well, it has an integrated Disk Wiper which uses a shredding algorithm to wipe unused disk space. I use this feature frequently, to clean up my drives (after running test applications), and to destroy any leftover fragments of previously deleted/uninstalled files. If you’re looking for a great free file shredder application that does what it says it does, in an easy to understand manner, I highly recommend File Shredder 2. System requirements: Windows 2000, XP, Vista, Win 7. If you’re looking for a more robust portable application – checkout Disk Wipe. 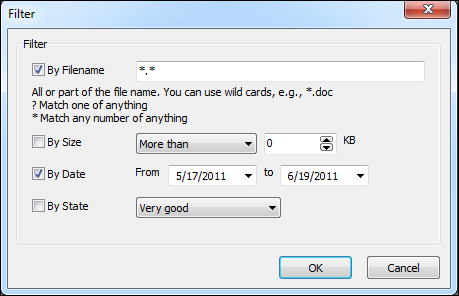 Disk Wipe is a free, portable Windows application for permanent volume data destruction. With Disk Wipe you can erase all disk data and prevent recovery of that data. 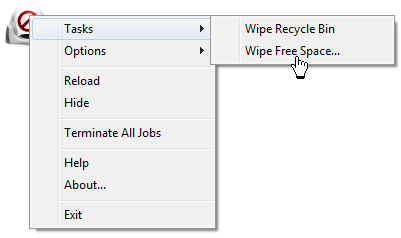 Disk Wipe uses powerful algorithms which fill the volume with useless rubbish binary data, multiple times. 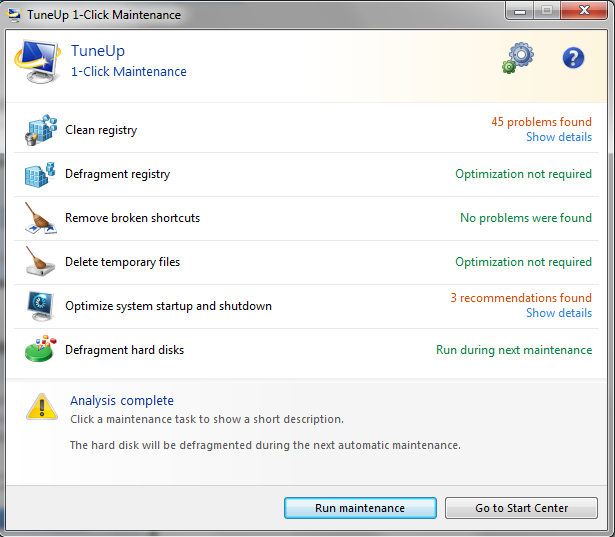 The possibility of recovering information from drives formatted with Disk Wipe, is virtually non existent. Later today, I’m going to perform bit of magic and help a friend recover photos accidentally deleted from her camera. No, I’m not Harry Houdini (magic is definitely not my thing), but I certainly do know which application to run in a given situation, which to many users, has all the appearances of being magical. When it’s time to recover deleted files from an SD Card, Hard Drive, Flash Drive, etc., my magical application of choice is Glary Undelete. 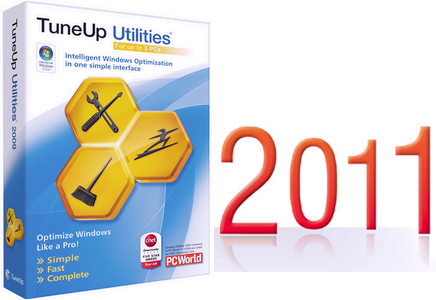 This free recovery application, (from the developers of my all time favorite Windows utility – Glary Utilities), with its wizard driven interface, makes deleted file recovery just about as simple as it gets. The easy Hard Drive solution that most of us can use, most of the time, is to simply restore the file from the Windows Recycle Bin. The Recycle Bin can be a life saver when a file has been accidentally deleted. Normally, the deleted file sits in the Bin until you empty it, or restore the file. But, what if the file has been permanently removed from the Bin, to make room for more recently deleted files for example, when the maximum size allocated in the Recycle Bin properties has been exceeded? And yes, it does happen. 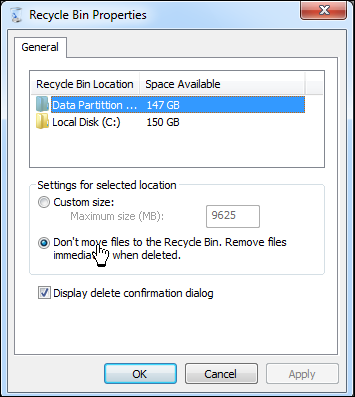 If you take a look at the Recycle Bin’s properties dialogue box, you’ll see that the Bin’s size can be customized – but initially, the maximum size is set by the OS. BTW, I don’t recommend that you turn off the Recycle Bin, as I have done here for my data partition. Still, all is not necessarily lost and here’s why: when a file is deleted from your Hard Drive, or portable media, what really gets deleted is the system link pointing to the file; but not the file itself. Surprisingly, it can often be relatively easy to retrieve the deleted file, or a good portion of the file, using specialized file recovery software, which takes advantage of this reality. 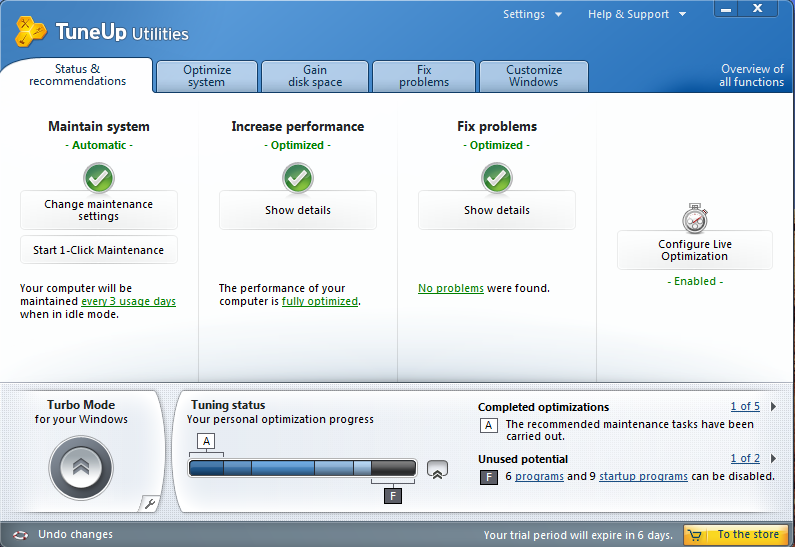 To enhance the possibility of recovering the deleted file, rapid action is a prime requirement. File recovery software has limitations, so once you have realized you have deleted that important file; do not write any more files to the drive until you can run the recovery program. Quick overview of Glary Undelete. Filter searches by file name, file date, size, and recovery state. Sample photo recovery operation from my camera’s SD Card. Click graphic to expand to original. 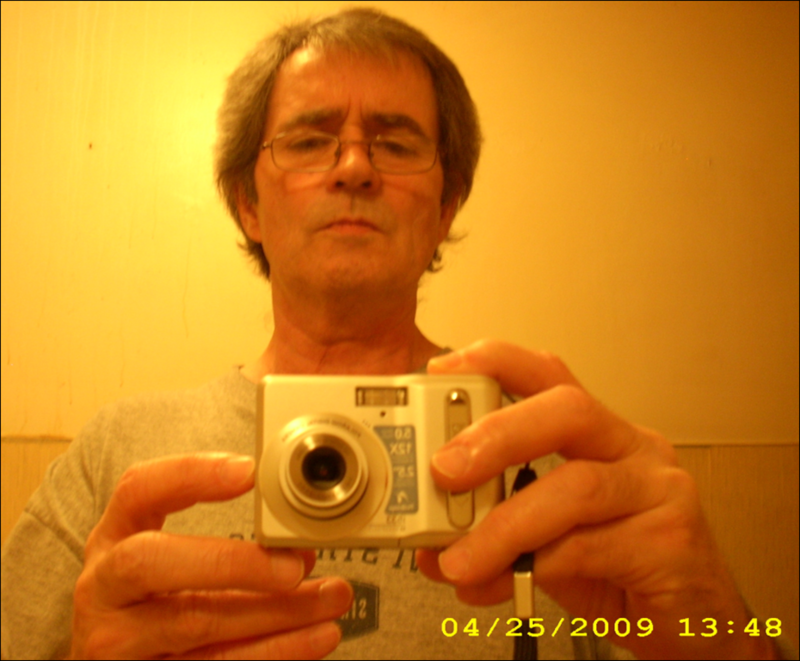 Undeleted Pic – you can see why I deleted it to begin with. 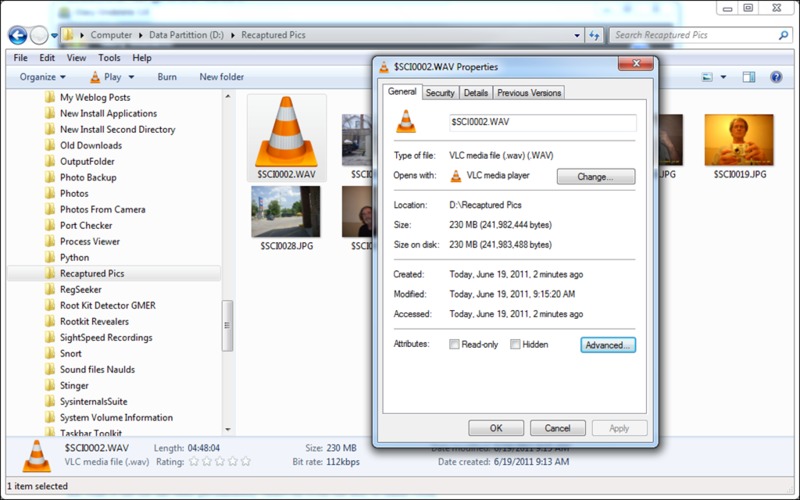 Just for a bit of fun, I recovered a very large .wav file (5 hours of sound), I had deleted from the camera’s SD Card. Note: Glary makes the statement that this utility will, “even recover files that have been deleted by bugs, crashes and viruses”. I have not specifically tested this function. 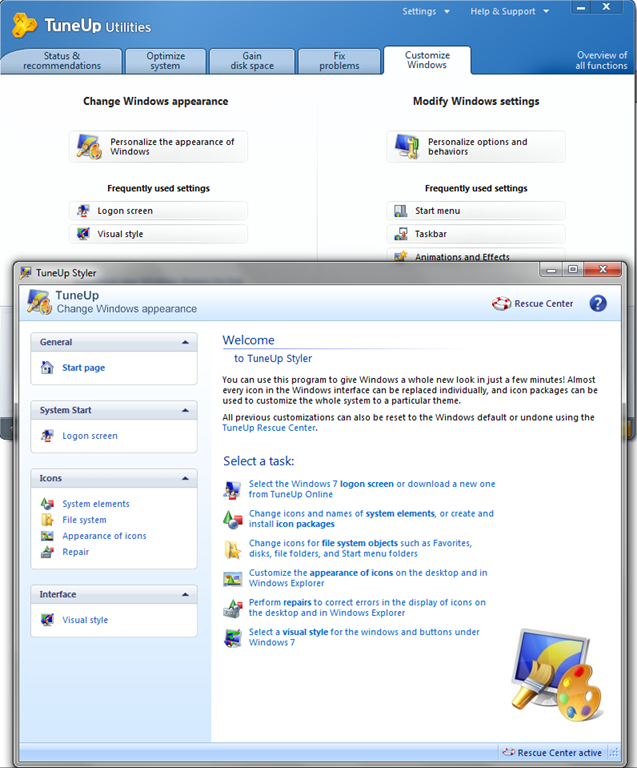 System Requirements: Windows Vista, XP, Windows 2003, Windows 2000, Windows 7. Note: In Windows 7 (and Vista, I suspect), launching the application requires elevating privileges to an administrator level. Final note: If you read user comments regarding this application on CNET, for example, you’re sure to find the usual whining and complaining posted by unsophisticated users who have not taken the time to become familiar with the application. Don’t be discouraged by this. Used properly, and in an intelligent manner, this application performs exactly as advertised.